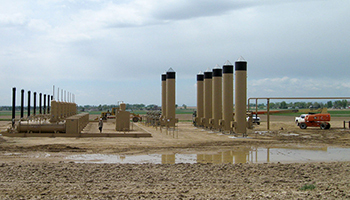 (Boulder County, Colo.) -- At a public meeting on Tuesday, April 25, at 11 a.m., the Board of County Commissioners and staff will discuss efforts beyond regulations that they might employ to address oil and gas development in the unincorporated areas of Boulder County. Such approaches may include studies to better assess impacts from oil and gas development, sustainability programming to reduce fossil fuel consumption, possible amendments to state law and initiation of state rule-makings, and the consideration of additional legal strategies in an effort to reduce the impacts of oil and gas development on public health and safety, community sustainability, and the environment. The April 25 meeting was scheduled following the March 23 meeting where the county commissioners adopted what are considered to be the strongest set of local land use regulations on oil and gas development in the State of Colorado. Staff from multiple departments and programs, including public health, sustainability, land use, county attorneys, and policy staff, will present updates and proposals related to oil and gas aside from the land use regulations that were passed a month ago. When: Tuesday, April 25 at 11 a.m.
For more history and details about this issue, please visit the Oil & Gas Development webpage at http://bit.ly/BCoilgas.